Recently I’ve been working on a couple of projects with teams who have embraced ‘mind-mapping’ software. There’s a lot of hype about this concept, and about this software, but basically the software is a simple mechanism for documenting thoughts and information graphically as they are generated. Or, as Wikipedia puts it, “a radial diagram that represents semantic connections between learned material”. It’s not significantly different from ‘outlining‘, except that, for some reason, the graphical layouts of mind maps are more comprehensible, easier to grasp and follow, and aesthetically superior to the linear, multi-layered indentation of outliners. What intrigues me about this list of applications is that some of them are left-brain, deductive processes while others are right-brain, inductive, creative processes. I’ve often used pencil and paper to sketch out cause-and-effect (systems thinking) and process diagrams (which are more linear), but recently I’ve started playing with mind maps as a personal ‘thinking out loud’ tool, to organize my thoughts and think creatively all by myself. I’ve always learned best by writing, synthesizing and distilling books and other voluminous materials down to their essence: the message, the meaning, and the necessary actions. So perhaps this ‘learning by writing down’ style is the reason I find mind maps useful. I always found developing sequences of PowerPoint slides with bullets on them, which is mind mapping in a rudimentary way, useful for organizing my thoughts for presentations. Now I’ve learned that they’re boring for the audience, so I use them to organize my thoughts but then transform them into a story, and show only graphics on my slides. With mind maps, I can dispense with PowerPoint entirely. What’s interesting is that stories have a completely different structure to them than analytical discourse, so it’s a major reconstruction effort to build the critical points back into the story. Sometimes you find that some of the points you planned on making are extraneous, or just don’t fit, in the story. Sometimes, I confess, you’re tempted to exaggerate the truth to make the story better (resist this temptation!) And sometimes you find that you’ve changed your mind about what you were going to tell the audience entirely. And you always learn something yourself just from the process of preparing to teach others. Using the mind map approach has had a similar impact on some of my written work. Perhaps the graphic layout stimulates the right brain and gets you thinking about how ideas and information relate to other ideas and information, pulls you out of your linear thinking habits. I even wonder whether in some way the mind map mimics the way the neurons in the brain are organized, the way they make connections across space. The existing mind mapping tools (MindManager and Inspiration are both excellent, but expensive, while OpenSource FreeMind, which I used for the mind map above, is less robust and a bit counterintuitive but perfectly serviceable, and it’s free) — all use a tree-structure or ‘fish-bone’ approach to organizing thoughts and information. That’s a severe limitation. Take the lower half of the mind map above, for example. The first eight of the ten Making Your Own Way critical life skills are all applied to some extent to developing the ninth and tenth skills on this part of the map. The first eight and the last two skills would better be represented as an 8 x 2 matrix, which the mind map can’t properly depict. Despite these drawbacks, I would commend mind mapping, and the software tools described above, to anyone who hasn’t used them. There’s something about a quickly-produced yet elegant, legible, organized and flexible ‘picture’ of your thoughts that just seems to evoke more, faster, from both sides of the brain. In a business and social culture that is increasingly oral, and aspires to become more collaborative, the current explosion in use of mind mapping is likely to continue, and the ability to use these tools will probably become a skill you can add to your rÈsumÈ. I’d love to hear others’ successes and war stories in using mind mapping both for business and personal purposes. For the thinking and deciding applications that mind maps don’t lend themselves to, I’m still using low-tech solutions: Tables for matrices, 2 x 2 charts and compare-and-contrast analyses, and graphics software to create legible versions of my hand-made systems thinking charts and flowcharts. I’m on the lookout for robust, OpenSource applications for systems thinking and flowcharting. In the meantime, there’s only one tool versatile enough to handle all these graphic representations of semantic information and relationships: The lowly pencil and paper. The mind-map above is a first cut at a radically new educational curriculum. I’ll be writing about it soon, but in the meantime, teachers are welcome to jump in with their thoughts. For another great piece of FREE mind-mapping software have a look at Personal Brain:http://www.thebrain.com/It has a lot of nice features, and I’ve used it for both planning fictional worlds (e.g. for novels) and creating business plans. They even use it as the primary navigational tool on their website! Ugh, sorry … the latest version is only free for 30 days. OK, it USED to be free, and now only costs US$79.95. CMap “concept mapping” or “knowledge mapping” software is free but not open source. 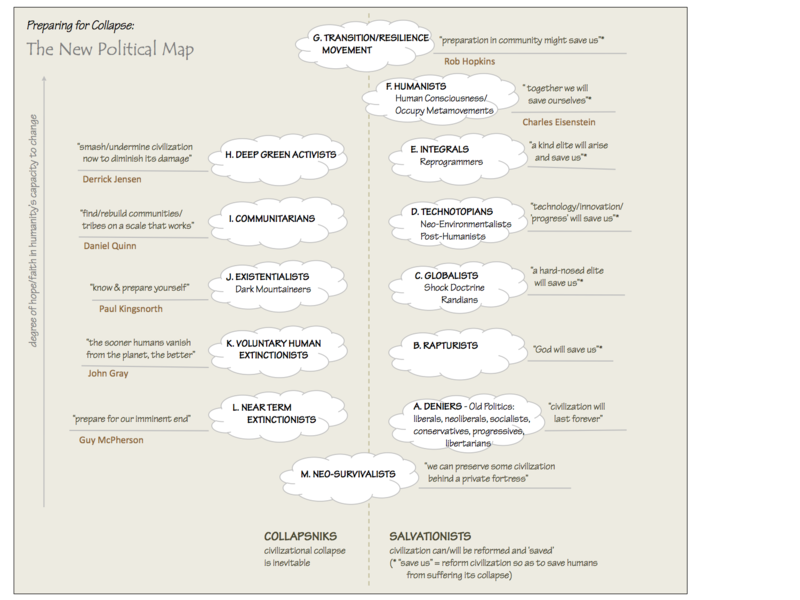 http://cmap.ihmc.us/It seems to fit well with my discursive, non-linear style of thinking. I like it because it isn’t as confining as outlining, and has a certain tactile quality to it that works well in developing ideas or concepts. I used it recently to help prepare myself for speaking at a public hearing; I’m also working on a map of my livelihood, which made me realize what a web of activities I’m weaving to make a living. A picture, instead of a story.It also has collaborative features, in that several people can work on one map simultaneously, from any location. The provider, a university in Florida, offers free hosting services that seem to be quite open and accessible. Mindmapping software (Mindmanager … and its previous incarnation Mindjet) are phenomenal for planning projects or proposals – the visualness of the way one lays it out helps to see the different branches/segments/sections and what/who needs to be in each.The only reason i can think of as to why I don’t use it much any more is that i don’t really have any complex multi-task projects underway.Great for making the site map for an online presence as well – what needs to be where. If I recall correctly, you can save the mindmaps as rudimentary web sites, or least active blueprints for web sites. Excellent links and ideas, all. Thanks. Dave, look at http://www.1-900-870-6235.com to see some really wild mind map examples. Click on any one of the dozens of maps that catch your eye. Some have considerable roll-over and click-through functionality, while others are just flat sketches. We have a program called BrainStorm which a lot of our users use (ugh, sorry) as a prelude to mind-mapping. The blog at http://brainstormsw.typepad.com contains linke to users’ thoughts about different programs in their ‘thinking ecology’.